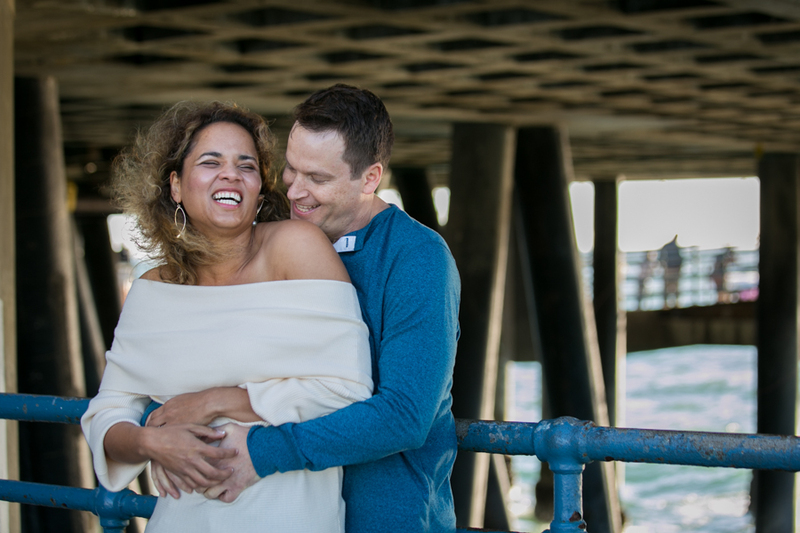 I first met Larissa at a women’s event called Pov.la in Los Angeles. 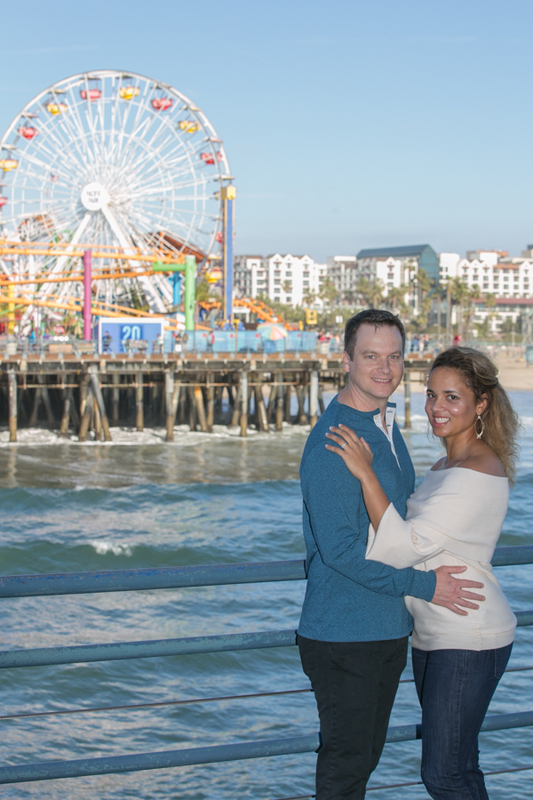 I’ve introduced myself as a photographer to the group, and naturally became the event photographer for various events that Pov.la held. 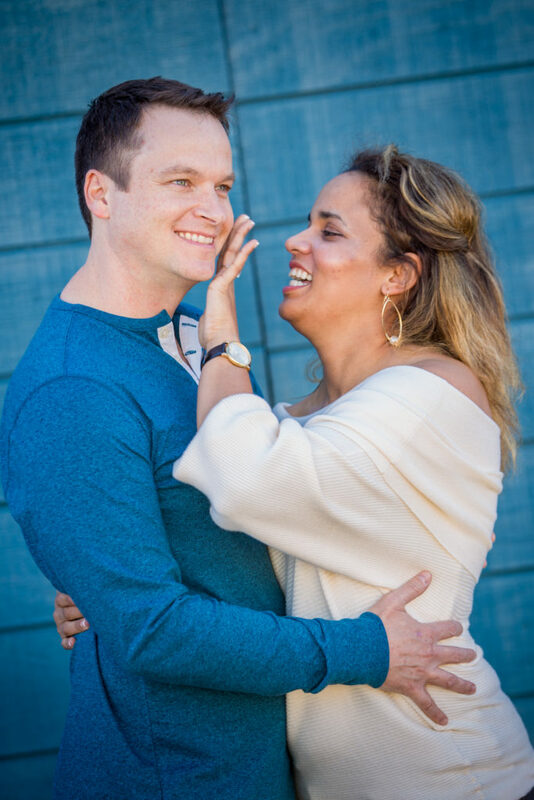 So when Larissa needed head shots taken for her sports website, I was honored that she thought of me first! 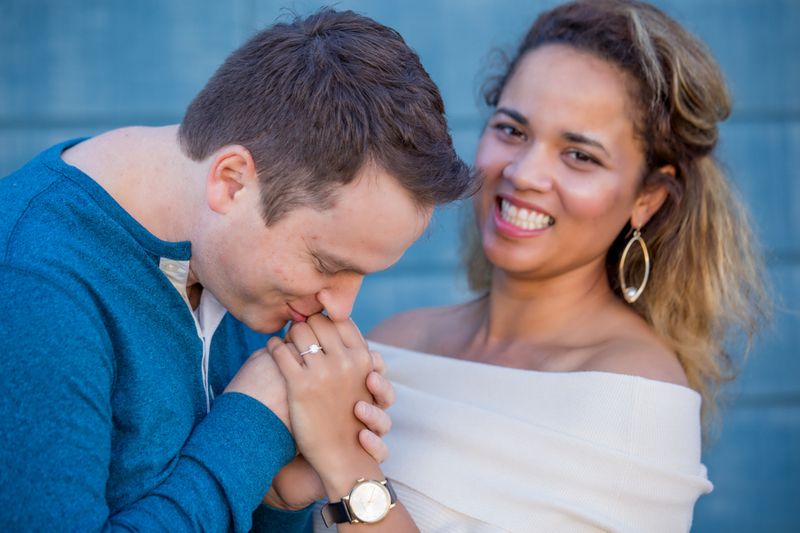 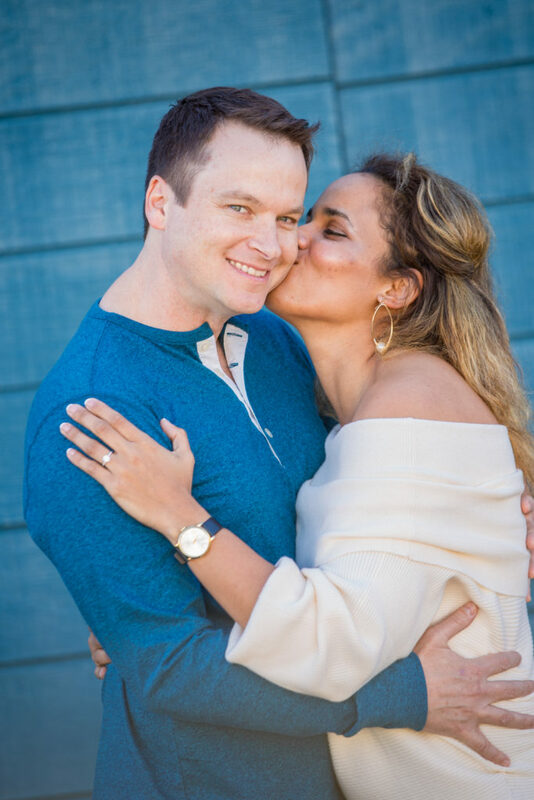 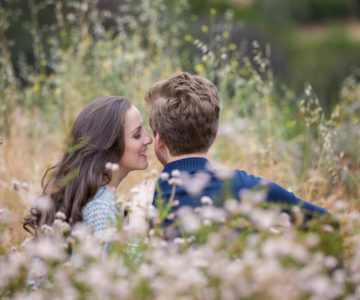 Shortly after our first photoshoot around Pasadena, I was excited to hear that Larissa got engaged to her now fiancé, Matt! 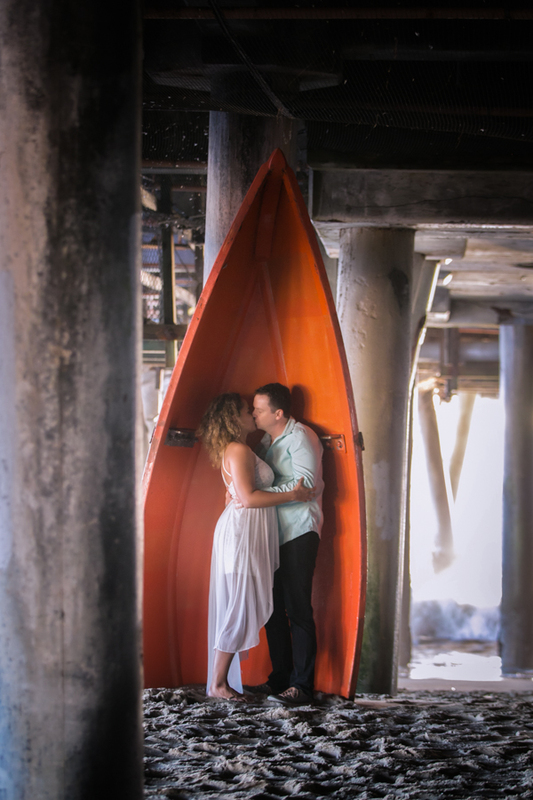 I was even more so excited when she asked me to shoot her engagement photos! 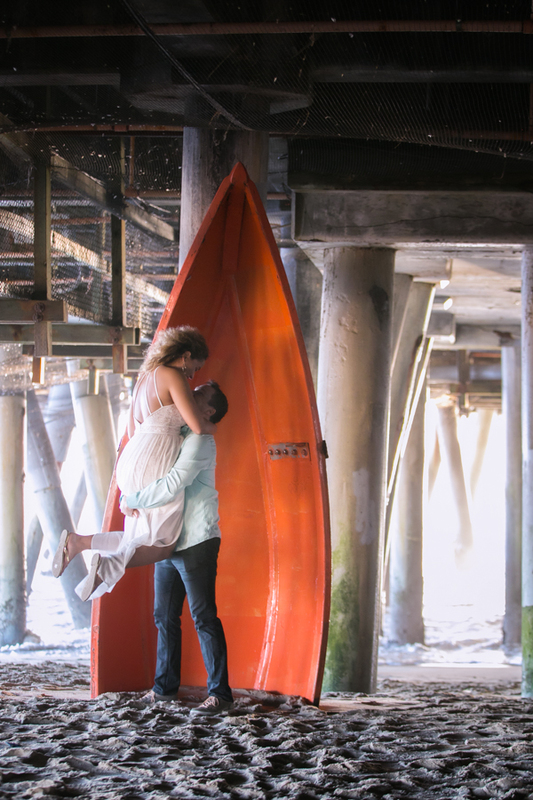 We started the shoot above the pier, and let me tell ya, we had TONS of fun. 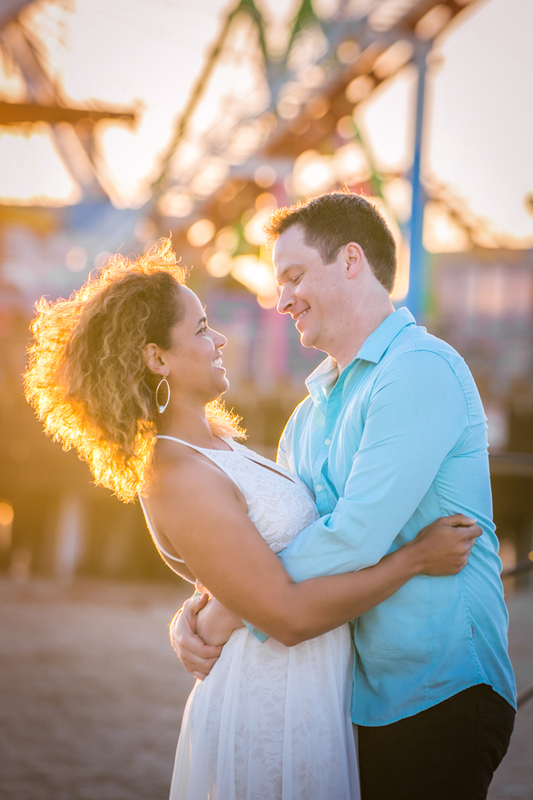 Matt and Larissa have such big personalities; they were full of fun and giggles for the rest of the day. 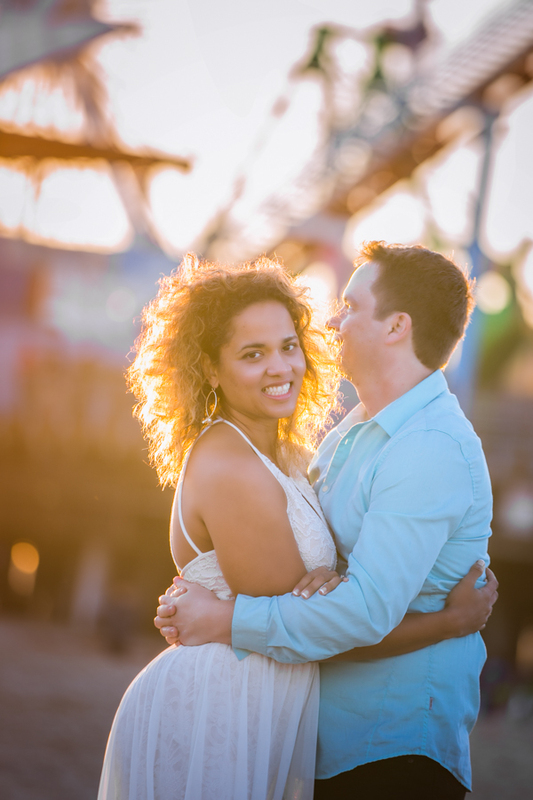 Can’t wait to shoot their big wedding day in New Orleans this October! 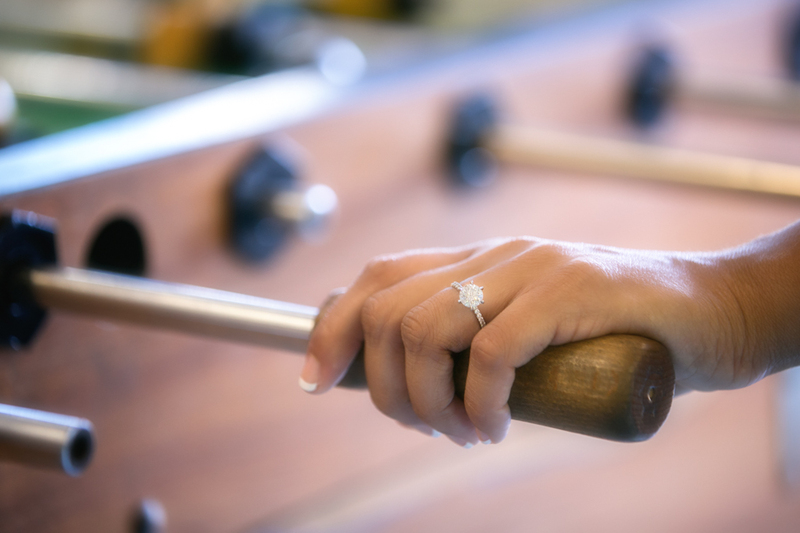 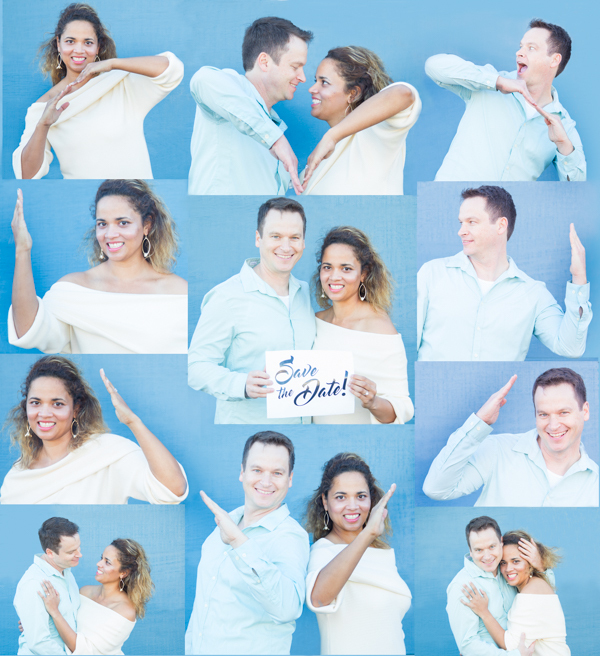 Check out their adorable “Save The Date” idea that we shot! 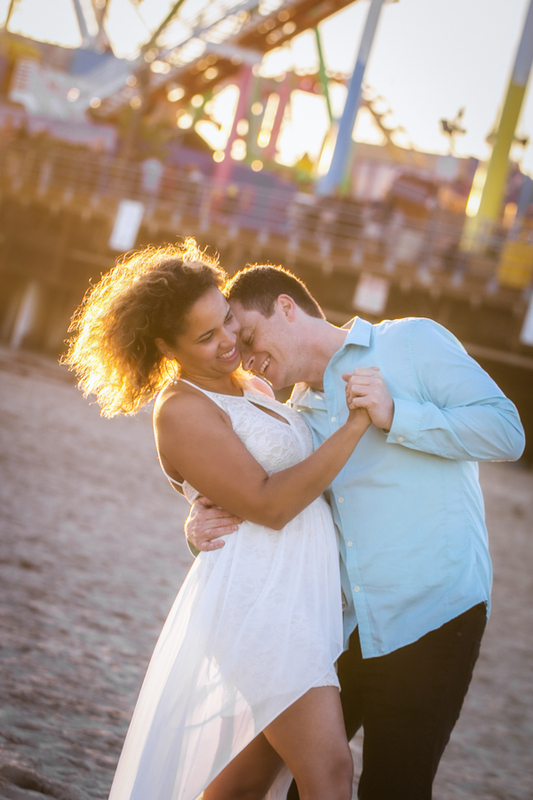 I think the most beautiful portraits are taken when we’re in our natural element, meaning, candids! 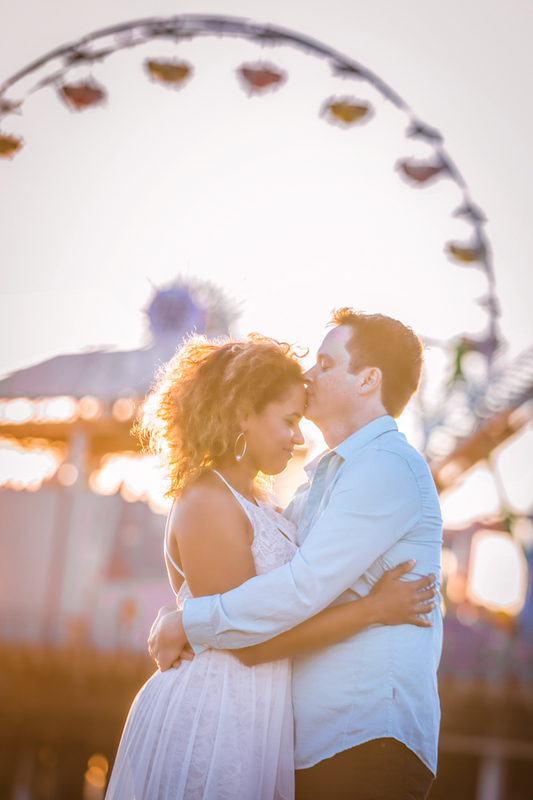 I’m a HUGE fan of candids – it makes everyone feel a lot more comfortable, and of course, more fun to shoot! 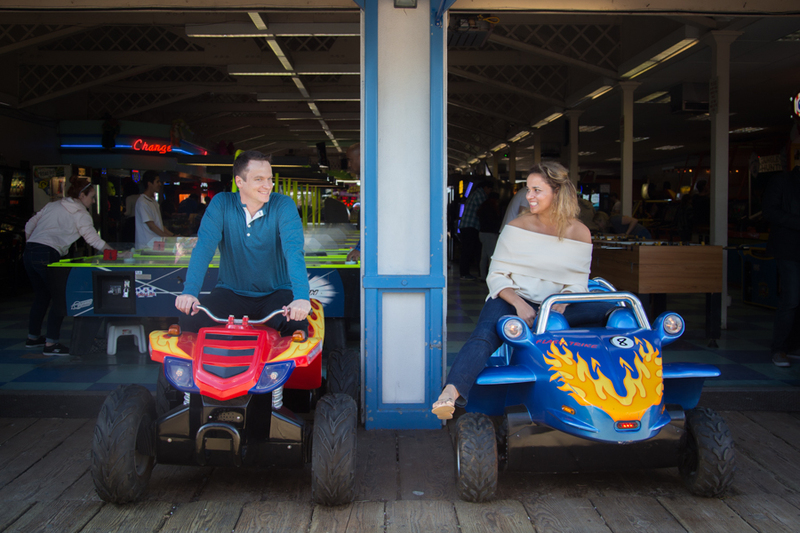 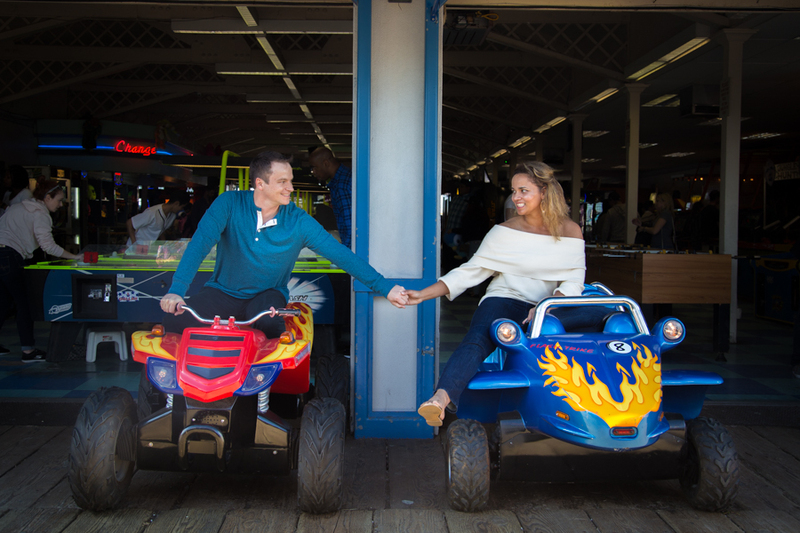 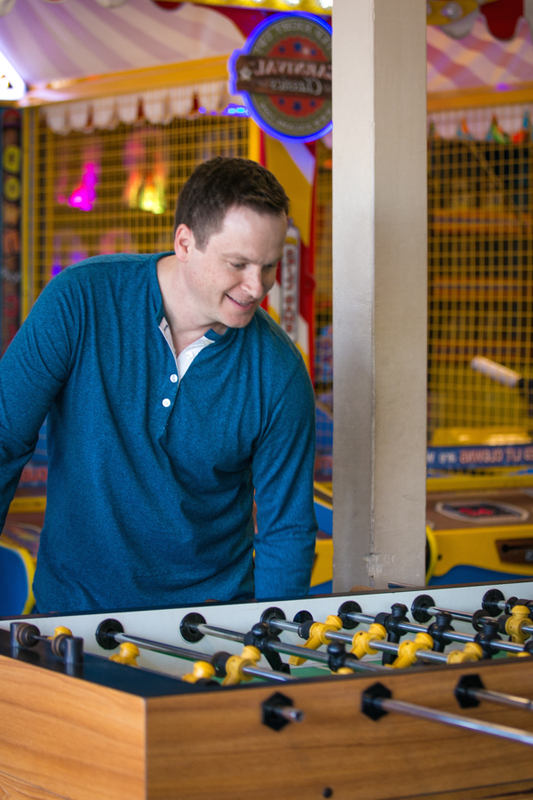 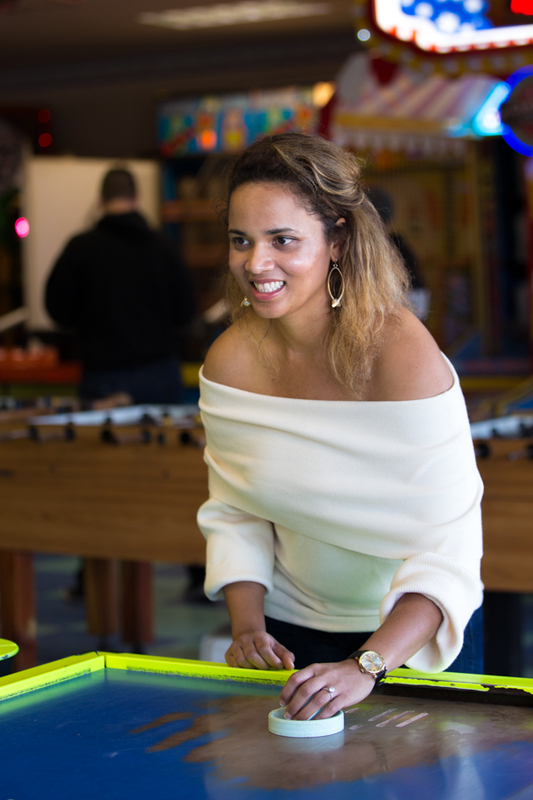 So we let Larissa and Matt’s fun personalities shine and went over to the Santa Monica Pier arcade to play a few rounds of air hockey and foosball! 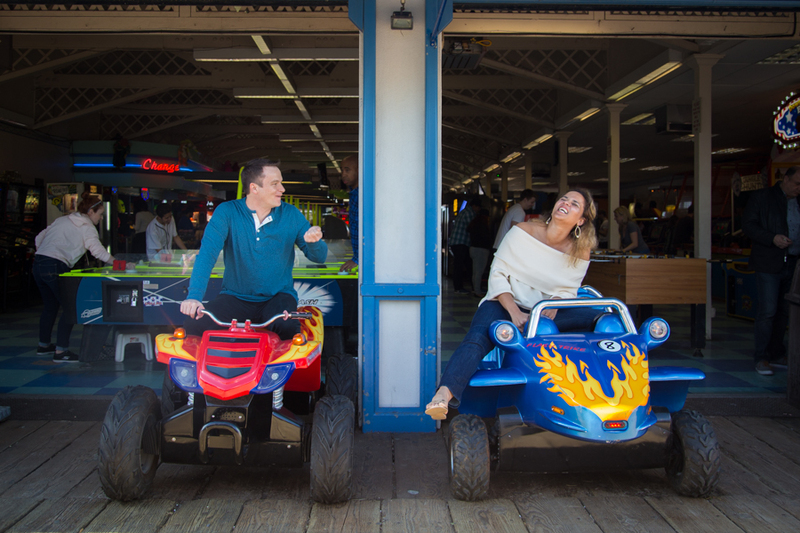 Because, well, why not?! 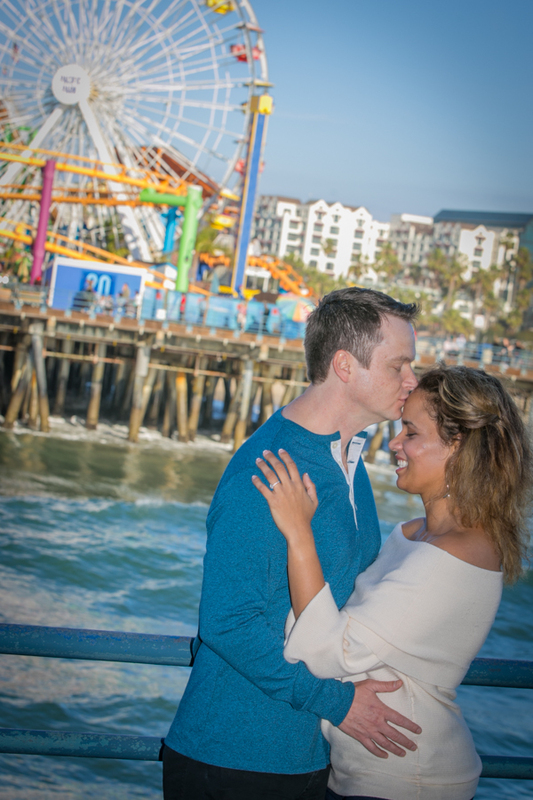 We made our way to the end of the pier and had some fun spots to shoot along the way. 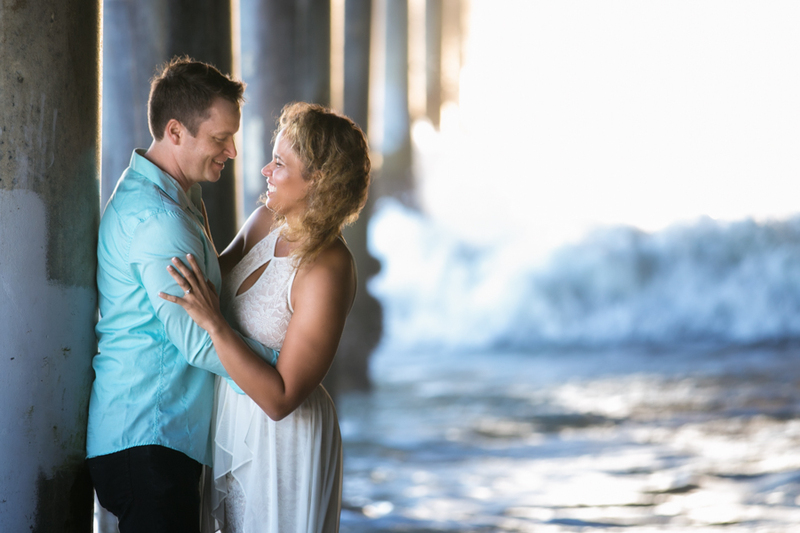 For the formal look, we caught the gorgeous sunset from underneath the pier. 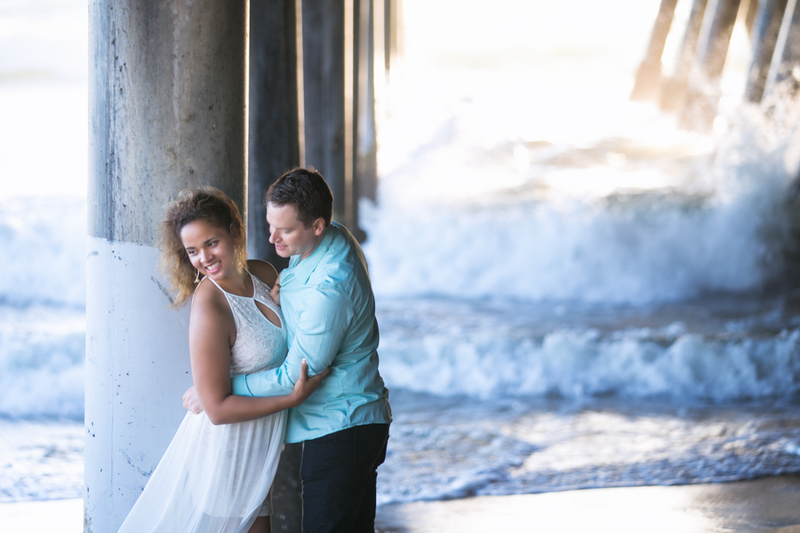 Larissa’s white dress blended in nicely with the ocean waves in the back, and created a soft, romantic look. 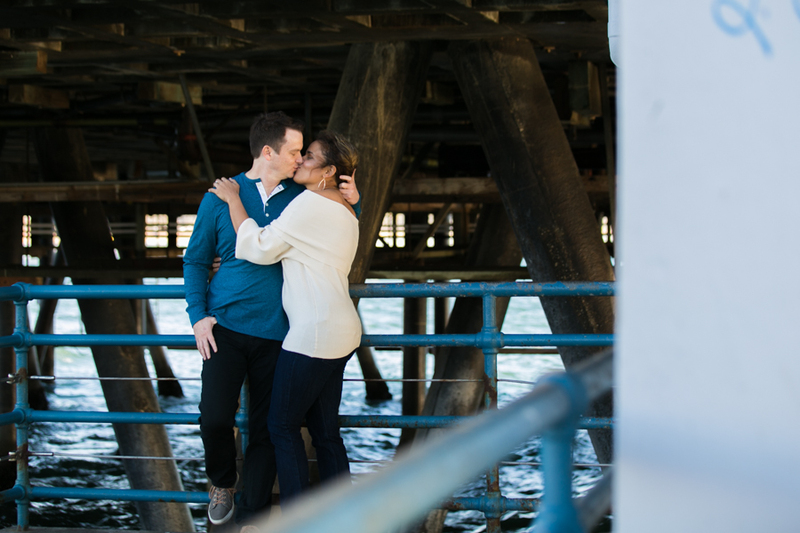 Underneath the pier is one of my favorite locations to shoot in Los Angeles; I’m always excited to shoot here!